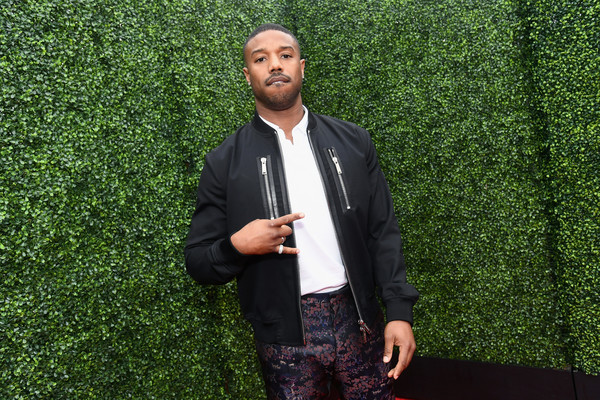 WE SEE YOU: Michael B. Jordan Was Getting It In With... Wait, Is It His Rumored Girlfriend Ashlyn Or Nah? We told y'all Michael B. Jordan is rumored to be dating IG model Ashlyn Castro. Remember when he brought her home to celebrate at his family's Kwanzaa celebration last year? Well, we're not sure if they're still together or not, but these new flicks could change the game if the woman in the flicks are indeed someone else. Now that the CREED actor has wrapped up filming the prequel in Philly, he jetted to the French Riviera for some fun in St. Tropez. And he's living his best life. His homie/MTV's "Ridiculousness" co-host Steelo Brim was also in the mix. Sources on the scene said the YBF actor and the mystery woman got busy on the dance floor before they ended up getting cozy on a couch all night. We checked Ashlyn's social media accounts and we didn't come across any St. Tropez vacay pics. IG models usually love posting up vacay pics. "I like women, period. All women. Everybody's on the table," Michael B. Jordan told Power 105's "The Breakfast Club a few months ago when he was asked if he had a preference for a particular type of woman. He's really not tryna let us all up in his love life. Rightfully so, we guess.